Not much to report today. We spent $8.79 on a birthday lunch for Mr. I didn’t make it up in time to make food and he was feeling lazy. But, later I made his birthday dinner, which cost about $7 for all of it, including the side of garlic green beans, but we bought the stuff in the last month, so no money spent. 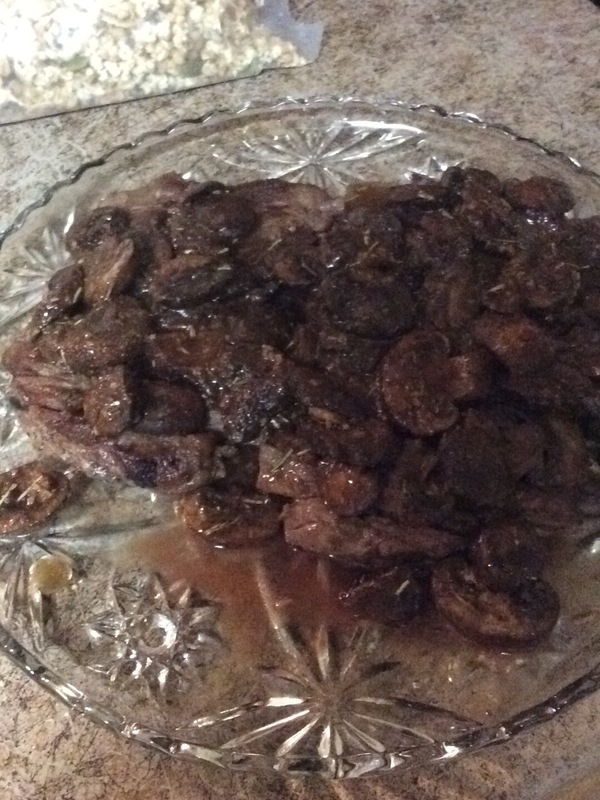 It’s a horrible picture, but this is flank steak with mushroom sauce. I had chicken and vegetable wraps for dinner–can’t eat read meat. I did a lot of searching to see if I could make up the money we’ve spent so far–I looked on Pinterest trying to find ideas of crafts to sell, like feathered earrings, etc.–thought about selling clothes, book shelves, tables, etc. but, eh–we’ll see where we end up without going overboard. We also spent $2.99 of our remaining grocery budget on milk for the kiddos. We have bread from the closet and they still have goldfish and fruit snacks from two weeks ago. We also have chips we bought this last week and pasta. We have cereal, sausage, bacon, muffin mix, and pancakes for breakfast. So, I think we should be okay until next weekend. I just have to figure out what Mr and I are going to eat. It was a pretty bleh day. Just did some reorganizing and revamping for 2017–most the command center. 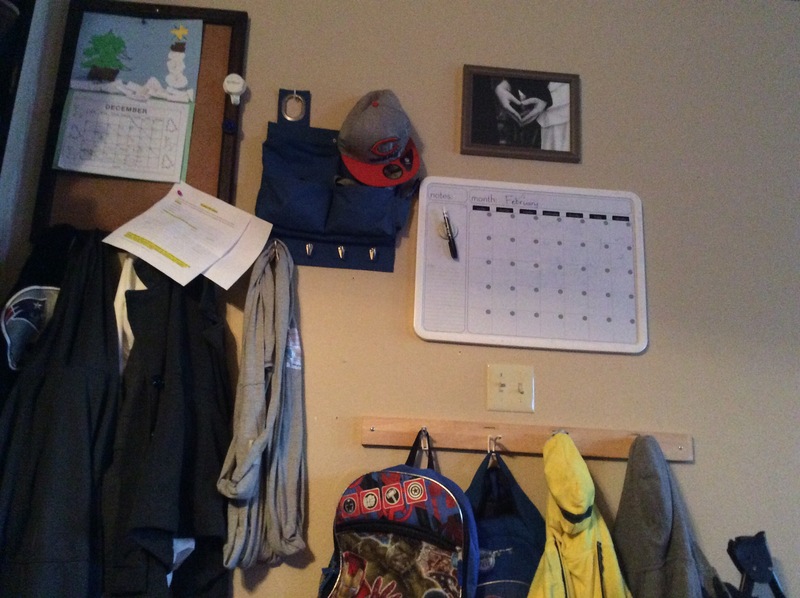 Moved the boys’ rack lower so they can hang up their coats and backpacks themselves. Mr and I started talking about buying a house again. Our lease is up in May, we found a cute little house still in the school district, at a decent price, but not sure if we qualify or not. So, we’ll see–planning to call a loan officer (with the first time homebuyer state programs) next week to see what they can tell me. After that, I’ll call our bank and see what we qualify for. Hopefully it’s more than when we were in MT. But, that’s a story for another time, I suppose.